Jane is an average millennial who prefers shopping online for almost anything, apparels included. She comes to your website looking for that perfect little black dress for her weekend party but instead gets caught in a web of irrelevant search results like a black top, blue jeans, and a yellow belt! Frustrated, she gives up her on her search and leaves the website. Wondering what just happened here? Well, if the products on the website are listed incorrectly, the site search will be adversely impacted as well. Therefore, it is not uncommon for retail businesses to experience high bounce rates on the website with low sales conversion – all thanks to the poor search results. To stay ahead in the fierce competition, retailers need to provide exactly what their shoppers want. A smooth shopping experience not only leads to better shopper engagement, but it also develops a brand preference. Poor catalog management plagues the entire fashion retail industry. Why, you ask? There are plenty of reasons. With growing business, brands deal with large volumes of catalogs and labeling every product can be time-consuming. Brands often spend a lot of time, resources and money to manually write titles, tags, descriptions for these products. Manually labeling products is tiresome, sluggish and error-prone. Retailers work in large teams that are spread across locations, working in silos that often leads to a lack of unified understanding of products and relevant categories. Often, merchants and sellers routinely upload products images with bad lighting and busy background, as a result, products are tagged with very low accuracy. So, retailers often face consequences of inaccurate product tagging on their website. Poor catalog management is catastrophic for retailers because it results in delayed product launch and lost sales opportunities. Product tagging is invisible, and yet, indispensable – without which the entire gear assembly essentially falls apart. A catalog that has well-labeled tags helps the entire retail value chain – from decreasing costs by automating workflows, to aiding product discovery by helping index products better, leading to more accurate searches on the site. Today, automated catalog management is a new way forward for fashion retailers and e-commerce brands. VueTag is an AI-powered image recognition solution that automatically tags and categorizes product catalogs with attributes like color, pattern, length, neckline, sleeve-type and more. The tool extracts accurate, detailed product attributes from the images at a fraction of time and cost incurred by retailers today. Automated tagging means no manual intervention, 10x faster product digitization, faster time to market and significant cost savings. With better data, you can unify product information across channels, improve the shopper’s product discovery experience and make informed buying and merchandising decisions. VueTag helps fashion brands manage, organize and enhance their product catalogs with rich metadata. E-commerce Product Managers can ensure a seamless product discovery experience for their shoppers, increasing engagement and reducing bounce rates with accurate product tags, titles, and descriptions generated by our AI algorithms. Merchandising teams can curate collections and thematic pages with style, occasion, season tags and more. Buying teams can make informed decisions about assortment planning and forecasting. With VueTag, there’s value generation, automation and better data for multiple teams within retail organizations. Sounds Interesting? Let’s Get Started With VueTag In 3 Easy Steps! Step 1: Upload your product images and catalog to get deep fashion tags in real-time. Get one step closer to a well-organized catalog, fantastic product discovery experience for your shoppers and more! Step 2: Explore and review the predicted tags. Step 3: Download SEO-friendly, ready to plug in tags for your website and omnichannel platforms. Don’t just stop with tagging and reviewing, view catalog reports to plan your inventory accurately, boost efficiency across buying to make better-merchandising decisions. And don’t just stop with tagging and reviewing, view catalog reports to plan your inventory accurately, boost efficiency across buying, merchandising and sales, to make better retailing decisions with VueTag’s Catalog Insights. Vue.ai’s VueTag uses image recognition to extract attributes like category, gender, color, pattern, dress length, sleeve length, neckline among others. Using the power of AI, our algorithms are trained using thousands of images to identify the visual attributes and is completely automated to a level that does not require much manual intervention, saving you significant time and resources. Read here to know about 3 Quick Ways to Boost Product Discovery Using AI-Generated Tags. Catalog Management is an AI-powered product tagging solution that enriches your product metadata. It identifies and extracts product attributes from images automatically. 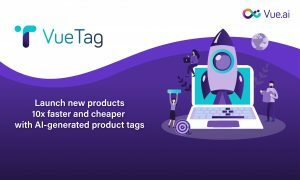 On an average, a human can only attribute roughly 300 products a day, with VueTag, you can tag hundreds and thousands of images in a fraction of time with accuracy. Empower and train your retail teams with automated tagging for reduced manual intervention, 10X faster product digitization, faster time to market products with significant cost savings. 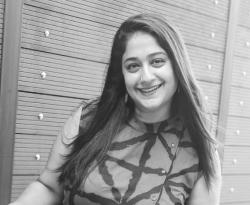 Stuti is a Senior Content Strategist at Mad Street Den. She is on a pilgrimage to find the best cheesecake, promotes books over Kindle, kisses dogs on a whim and spends most of her free time binge-watching TV series.